Happy Passover, Happy Easter & Happy Spring Break! 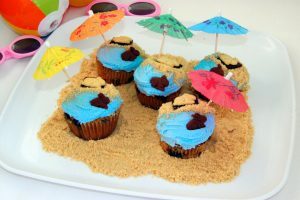 Whatever Spring holiday you are celebrating, here are some easy and HEALTHIER recipe and menu ideas! This Passover Seder menu will WOW your guests. Plus I included a Passover lunch treat – my cauliflower pizza recipe (I personally can’t stand matzah pizza so… you’re welcome!)! I also added a snack because… I LOVE to snack! (it’s in my genes… I swear). 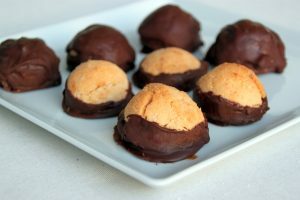 🙂 I also added a new recipe … chocolate dipped macaroons! Happy SPRING Holidays to you! 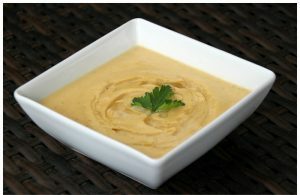 One of my favorite soups is kosher for Passover! Try something different this year and make this! 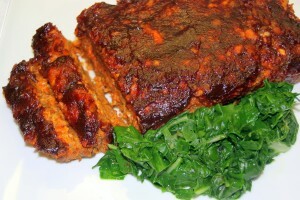 I love this dish as a Friday night Shabbat dinner entree but have used it for holidays too! It’s ALWAYS a crowd pleaser! 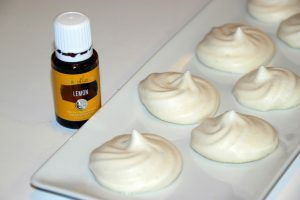 I made a cooking video showing my classic Meringue recipe, but if you really want to kick it up a notch, try my Lemon Meringue recipe with Young Living essential oils! I made this for the first time last year. The husband and toddler ate them all. The ingredients are by far SO much better for you than the packaged kind! Who doesn’t love pizza? Well, move over Matzoh Pizza! 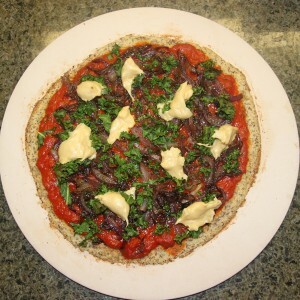 my Cauliflower Pizza with Cashew cheese is an excellent Passover-friendly option! Just don’t forget to look for a no-sugar-added pasta sauce! Snacks are key when you have kids or are in my family. 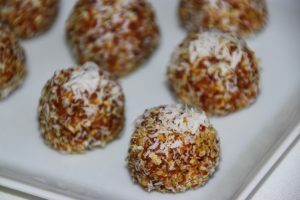 🙂 Try popping these fiber, protein, naturally sweetened goodies when you get a case of the munchies! This is a classic recipe of mine, in my cookbook but first time on the blog! 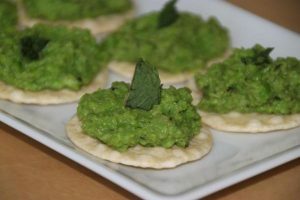 A perfect spring time appetizer that works well for any gathering! French Onion Soup. Did I have you at French? Onion? or Soup? 🙂 Really this soup is AMAZING! One of my favorites. 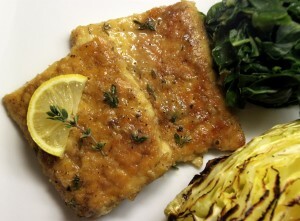 The lemon and thyme work together to make a super flavorful dish that’s sure to impress! 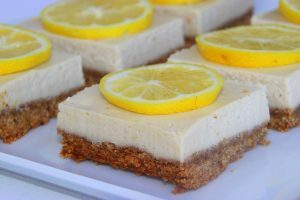 The bright color and flavor of these lemon bars go perfectly with the colors of Easter! Bunny Cupcakes would be another fun thematic desert to try! What dessert would the Easter Bunny love more than anything else? 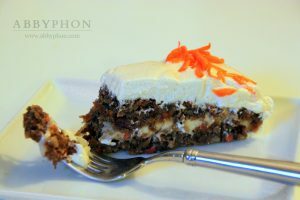 Carrot Cake I’m sure! Thanks for the recipes. Will try the cauliflower pizza one for sure. I try to avoid as much matzoh as possible. Thanks so much! Hope your Pesach was great! Did you end up making the cauliflower pizza? I tried out a new recipe for cauliflower pizza bites that was really yummy. I totally agree with you and do the same! Except for a sephardic (vegan) eggplant “mina” (type lasagna/casserole using matzoh sheets for each layer), I managed to avoid most of the matzoh this year again. I did try your cauliflower pizza. My hubby and I loved it! I will check out the pizza bites too. Great, so glad to hear it!